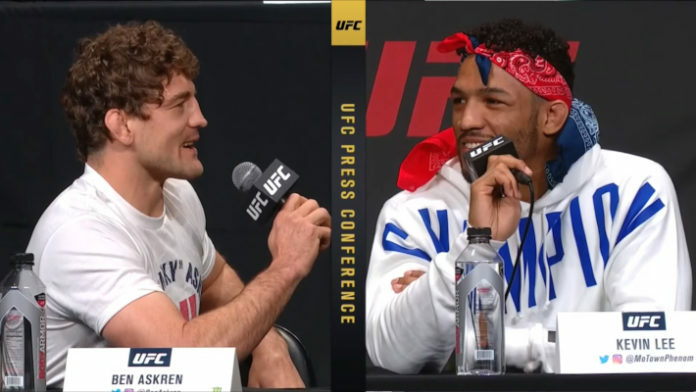 Kevin Lee has joined the ranks Kamaru Usman, Jorge Masvidal in others who have classified Ben Askren as a troll who seeks attention. “We both told two halves of the same story,” Lee said to reporters backstage in Atlanta. “As he’s moving around, he’s just coming at me real square, real slow. And I’m like, OK, I’m stepping into his gym, for the first time. I’m 20 years old, I’m not even in the UFC yet. Duke is kind of giving me the chance, so I’m like, ‘I don’t want to go there and just knock this dude out.’ Even though … it probably could have happened. how can I hate? It makes it more fun for me, really. tell that’s Ben Askren, when he do that. He’s a troll, like in real life. you agree with Kevin Lee? Is Ben Askren a real-life troll?